Andrew Davis is a professional wedding and studio photographer based in Bridgend, South Wales. His wedding photography aims to achieve originality and emotion, making beautiful and distinctive images of your special day that you’ll turn back to again and again. Capturing wedding days across South Wales, Andrew is sure to provide you with treasured memories of your special day. By hiring Andrew for your studio photography, you’ll be shooting in a relaxed and pressure-free atmosphere, either in a dedicated professional studio at his photography studio in Pencoed, Bridgend or at a location of your choice within South Wales. 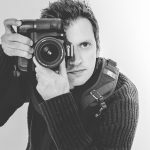 Read more about Andrew and his photography journey on his About page. Have questions about a wedding photography shoot? First shoot of hopefully many!